Some exciting news is coming to us from the Mozart School of Music. The school is making final preparations to host its Young Artist Concerto Gala 2015 on March 8th, 2015 at the Chan Centre for Performing Arts and has extended its application deadline from October 31st to November 7th. This is an opportunity for talented students to perform with a professional orchestra- the Vancouver Metropolitan Orchestra- at the prestigious Chan Centre. Last year’s event was sold out. According to Mozart School of Music Director, Olga Lockwood, only 1 in 100, 000 music students ever get the opportunity to play with a live orchestra. When the school opened in 2009 Lockwood had a vision of providing the opportunity for students to perform with a professional orchestra. 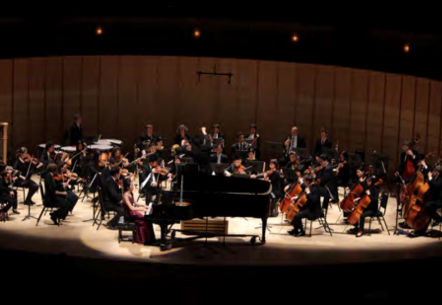 Her dream led her to the Vancouver Metropolitan Orchestra where she met with Conductor Kenneth Hsieh. To see a video of student Claire Lee (who went on to win the Seattle International Piano Competition) performing at last year’s gala, click here. The audition requires one movement of a concerto or one advance repertoire limited to 15 minutes. 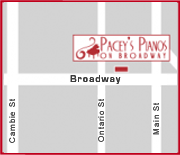 The acceptance fee for young pianists who pass the audition is $5, 000. The acceptance fee includes 3 masterclasses, 2 dress rehearsals with orchestra, practice rooms, accompanist fees for 4 recitals/mastercleasses, professional headshots, hair and makeup specialists on the day of performance, lunch the day of performance, free tickets for family, and a professional DVD recording of the concert. If you have a student who is interested in participating click here and download the application form located midway down the page. Email it to: director@msmvan.com. Best of luck!